With two high-speed case makers, Advantage Book Binding can quickly make cases of varying sizes as well as specialty packaging for mailings or other book products, such as menus.Materials for case making products range widely including paper, leather and other fabrics. 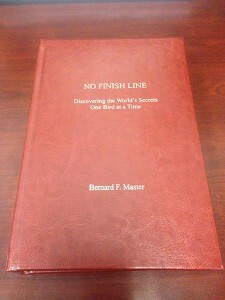 Casebinding is a tried and true method that Advantage Book Binding has been working with for many years. Case making is beneficial for individuals and businesses alike. Our case making service can help keep your text block safe from outside influences that could ruin pages of information. The type of material you choose is important in this situation, but no matter what you choose, you have an extra level of protection. Case binding also adds to the aesthetic of a book and makes it look more professional and customized.